Unless you're Wilco, there isn't usually a lot of wiggle room for adding one's own panache to the alternative country genre. Enter Rayland Baxter and his forthcoming album Imaginary Man (out August 14th). 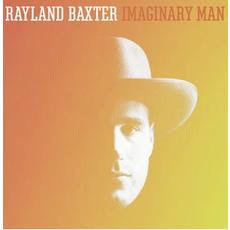 What Baxter does that precious few in the genre do is create songs that are unhurried. There is a comforting at ease vibe that falls over this record. The album opens up with "Mr Rodriguez", a song that boasts a groove that you will rarely hear in country music. The siesta mood of "Yellow Eyes" and the lazily floating "All In My Head" continue to establish the vibe. The influence of some notable indie artists seeps onto many of the tracks. Both "Mother Mother" and "Lady of the Desert" have harmonies that are reminiscent of Fleet Foxes. Elsewhere, "Memories of Old Hickory" is a delightful mixture of Willie Nelson and Josh Ritter. "Temporary Queen of a Bad Time" sounds like The Eagles playing an Elvis Costello tune. The sole track that breaks up the mood is "Young Man". Featuring a more dissonant blues sound, it is far and away the most harsh song on the record. If you're looking for a unique twist on the alternative country of indie roots sound, then Rayland Baxter is certainly for you. Best tracks: "Mother Mother", "Memories of Old Hickory"